Unless you’re living on another planet you can’t have escaped the fact that Apple’s new iPad was released today in a blaze of glory. The latest tablet offering from Apple has been hugely well received and today we want to consider Android tablets vs. the new iPad and how much Android tablets will need to improve to compete against the iPad’s dominance. In our review roundup yesterday the first reviews from the experts showed unanimous praise for the new iPad and we can only imagine that this latest tablet will continue to keep Apple easily at the top of the tablet tree. PC World has been testing the new iPad and given a comprehensive breakdown of it against Android tablets and we thought it would be interesting to look at some of the most salient points. For its report PC World looked at the new iPad, the iPad 2, and Android tablets, the Samsung Galaxy Tab 10.1 4G LTE and the Asus Eee Pad Transformer Prime TF201 and also on occasion the Toshiba Excite 10 LE. The results of their scrutiny so far shows that Apple’s new iPad is superior by far, largely thanks to the new Retina Display and that stunning 2048×1536 resolution. 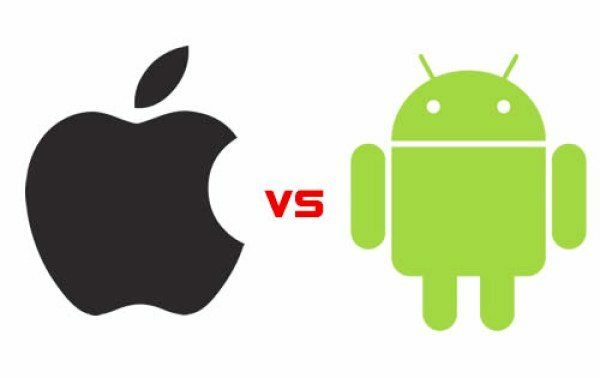 However the point is made that it’s not time yet for the Android competition to give up but that more intensive efforts will need to be made in order to catch up or overtake the new iPad. The Retina Display of the new iPad is described as its “defining feature” and it was put through some tough testing with color reproduction earning bonus points from hundreds of images looked at on the display. In a bid for fairness PC World states that images were transferred to the new iPad via iTunes and that iTunes already did some of the tweaking work. In the ‘image display quality’ results the new iPad ranked 5 (superior). All of the other models involved in this test ranked 4 (very good). Turning attention to the new iPad camera, the sensor has been significantly improved and some blind camera tests were performed involving both stills and video. Results of the ‘camera image quality’ testing showed the new iPad ranked 4 (very good), tied at the top with the Asus Eee Pad Transformer Prime. As the camera of the Transformer Prime is 8-megapixels as opposed to the 5-megapixel camera on the new iPad, those results may surprise some but show how much work Apple has put into the iSight camera on the new iPad. As far as gaming on the new iPad is concerned, ‘GLBenchmark 2.1.2’ tests were performed. The new iPad has an A5X dual-core processor with quad-core graphics (PowerVR SGX 543MP4) and we anticipated that the quad-core graphics would mean a big step up in gaming experience. Four key tests were performed and the new iPad left the competition standing. In two of the four tests the results of the iPad 2 were almost as good as the new iPad but in the other two tests the new iPad far exceeded the results of all the others. However the valid point is made that gaming experience is not just about the performance but also about the gaming software and on looking at some games (not specifically designed for the new iPad and its Retina Display), PC World actually preferred using the Eee Pad Transformer Prime. Nevertheless when the first games start to become available catering especially for that higher resolution new iPad it’s expected that this view might change. PC World did find an area of possible improvement for Apple as far as Web surfing goes. Although in ‘Sunspider 0.9.1’ test results the iPad 2 and new iPad were neck and neck in front of the Android tablets, in the ‘Web page load’ tests the Android tablets all performed better than both of the iPads involved, showing that it’s not quite over just yet for Android tablets. So what does all this mean for the future of Android tablets and also for upcoming Windows 8 tablets? In conclusion PC World notes that although Apple has extended tablet competition still further with its new iPad, rather than non-Apple competition simply taking it lying down manufactures need to double (or quadruple) their efforts in a bid for contention. Maybe Windows 8 tablets came come up with something that has so far been lacking in Android counterparts but one thing for sure is that the developing tablet competition over the coming months is going to be very interesting indeed. Do you think that in the long term Apple will simply make further steps away from the competition in the tablet sphere? Maybe you think that Android and Windows tablets can seriously progress to challenge the iPads supremacy and begin to rein in its massive lead in the market? Send your comments to let us know. You can definitely tell some bias is in this review. The reason two of the test results are the same for the GL Benchmark program is because the iPad 2 and new iPad have a max of 60fps ON the screen. That’s why the off screen results are so much higher, because they aren’t being limited. What makes a tablet the best one? It’s the overall package. And by that metric the ASUS Transformer Prime continues to hold the lead. It’s not just a matter of a better screen. A screen, that in the end, will have some drawbacks like requiring a much larger battery with longer recharge times. A battery that is reported to get noticeably hotter than the one on the iPad2. Much larger file sizes due to new screen optimizations. And, yet, the screen isn’t any brighter than the iPad 2 one so it’s still useless for use outside. Conversely, the screen on the Prime is lower resolution, but still higher than the iPad2 and is also much brighter at 600 nits than either of the two iPad screens. So what’s better? Have a 1280×800 screen you can use outside as well or a higher res screen that is not usable outside.